Constructed at Woodward and Lone Pine in 1830 for Dr. Ezra Parke, this significant landmark is now the Bloomfield Hills offices of O'Keefe. 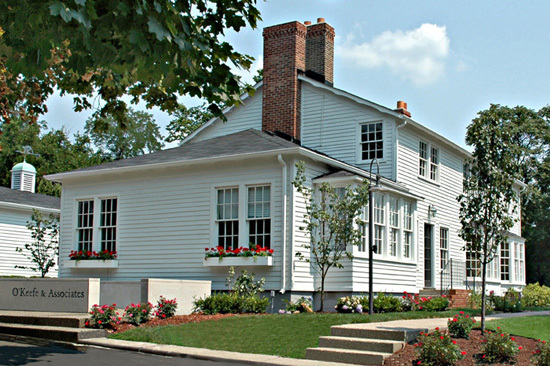 Through the years, this now designated historic district has served as residential dwellings, a post office, a doctor's office, a school and a social center; involving many prominent people in Michigan's history. As its owner since 2007, O'Keefe is proud to call it home!